Published 8/23/2011 . Last updated 4/22/2013 . 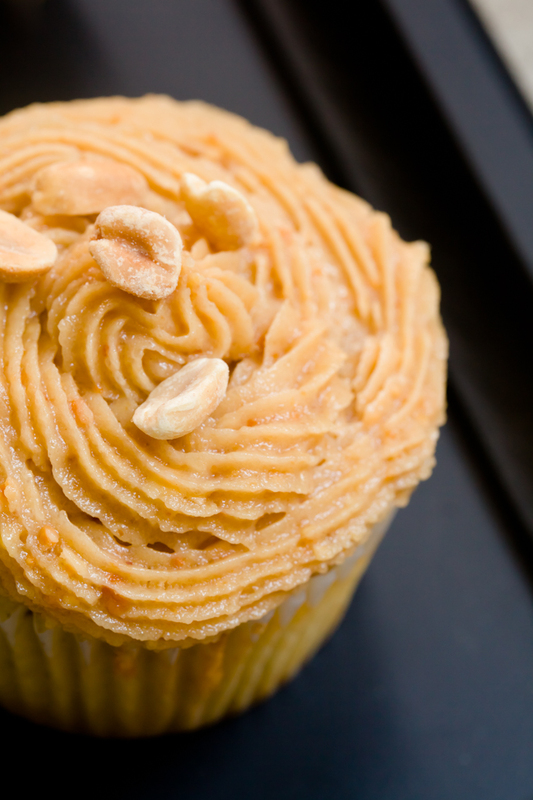 Peanut butter cookie dough frosting tastes just like cookie dough – after all, it is cookie dough (lightened up a bit)! Take safe-to-eat peanut butter cookie dough, add two tablespoons of whole milk or heavy whipping cream for every cup of dough, and you’ve got perfectly pipe-able peanut butter cookie dough frosting. im going to try this, i just made my peanut butter and jelly cupcakes yesterday with peanut butter cream cheese frosting yesterday…so maybe with the vanilla cupcakes i have to bake this weekend for your challange, we will take the rest and cover with this frosting…thanks connie munoz…. 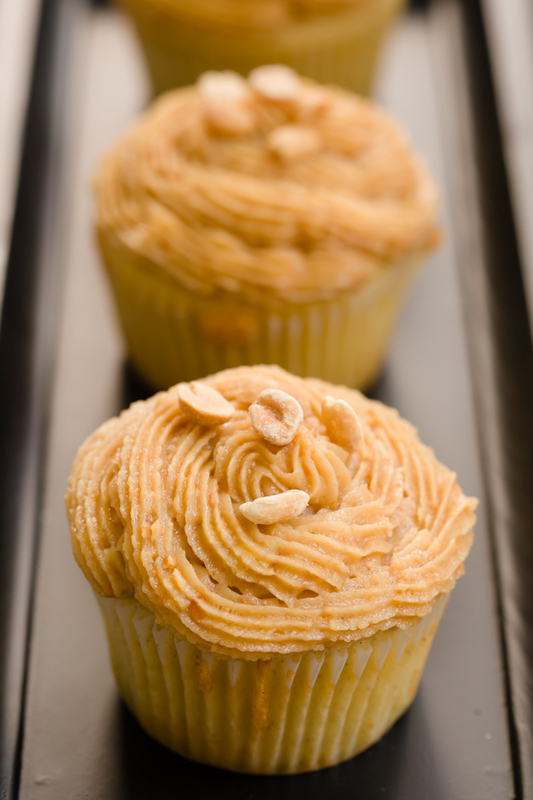 How would you rate this frosting compared to other peanut butter frostings….would you consider it a favorite? Cakedivafefe – Great question. It’s different. It’s not as light and fluffy as some other peanut butter frostings, but it’s great if you love the taste of cookie dough. I really love the brown sugar in there. You don’t get that in most frostings. I need to clean the drool off my screen. Whoa! That’s decadent! Connie, your cupcakes look awesome. Stef, I can’t wait to try this frosting. mollie, those arent my cupcakes, those are steph’s cupcakes,i will be cooking those cupcakes this weekend though and going to try your frosting steph…i cant wait..do you know if i can freeze this frosting or will i be making two batches of the test cupcakes this weekend? this is my dream come true! I would love this on a white chocolate cupcake maybe? Or just a spoon! wow, this is very nice. I like it.. Very beautiful. Thanks for sharing this kind of cookie. I never thought of making peanut butter frosting! I am looking forward to making this!